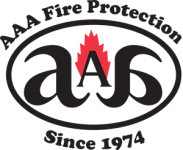 Commercial kitchens in Berkeley and throughout the East Bay Area can turn to AAA Fire Protection Services for quality services, honest transactions, and affordable pricing. We are a professional company with over 40 years experience working with businesses just like yours. We supply a complete set of services for commercial kitchens. Our service includes inspection, maintenance, and installation of restaurant hood fire systems. We also offer efficient and sanitizing restaurant exhaust cleaning services and a grease filter exchange service which help to bring your kitchen hood systems filters up to UL300 standards. At AAA Fire Protection Services we understand UL300. That deep understanding allows us to offer expert services at affordable prices. Our grease exhaust cleaning team works efficiently to clean excess grease from your kitchen's ductworks and leaves your kitchen sanitary. Our grease filter exchange service replaces faulty exhaust hood filters with baffle style grease hood filters that are UL300 approved. We'd be happy to put our expertise to work for your business. For a business-specific quote, just give us a call at (800) 543-5556.